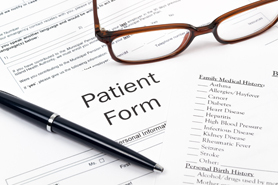 Our goal is for our patients to have a positive and memorable experience in a caring and friendly environment. Eyes of Westwood Optometry provides comprehensive eye examinations using advanced technology to best evaluate your vision and health of your eyes. Eyes of Westwood Optometry is dedicated to providing the highest quality of professional eyecare and outstanding customer service. Our goal is for our patients to have a positive and memorable experience in a caring and friendly environment. If you are looking for quality we hope you will give us a call. We are conveniently located in Westwood Village adjacent to the campus of UCLA. 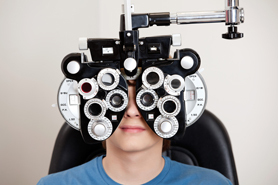 We accept Vision Service Plan (VSP), Eye-Med, Medical Eye Services, as well as other vision plans. Eyes of Westwood can help you see better and look better too! 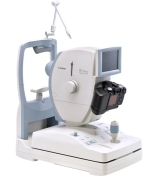 Dr. Doyle offers the latest Canon CR-1 Mark II Digital Retinal Camera. It epitomizes state-of-the-art non-mydriatic imaging technology with dramatically reduced brightness, improved overall comfort, and significantly shorter exams. For patients having non-mydriatic retinal exams, the bright flash can be unpleasant. CR-1 Mark II focuses on reducing patient stress to provide comfortable retinal exams by significantly reducing the flash intensity. Because retinal exams play an important role in screening for major illnesses, the ease of examining provided by the CR-1 Mark II supports overall healthcare for people.